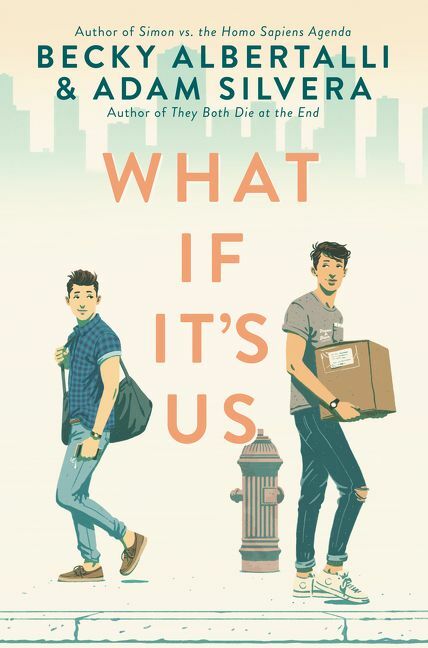 Becky Albertalli and Adam Silvera are my two favorite Contemporary YA authors. They’ve both individually written three amazing books I couldn’t put down once picked up. Then magically earlier this year I found out they were pairing up and writing a book together, WHAT IF IT’S US. Side note, I pre-ordered this book on audible like a week ago and got it today. I listened to it all day. When I got home from work, I had a package in the mail, a physical copy of this book. My first thought was who ordered this for me? Who else knows I’ve been dying to read this? Hmmm… Convinced I didn’t actually buy it but also needing to prove it, I check my Amazon account. Sure enough, I pre-ordered this way back in May. Go figure! First, I have to say the sheer amount of nerdiness found in these pages makes me incredibly happy. From Harry Potter to Hamilton and a half dozen other musical references in the middle, this girl was smiling with every metaphorical turn of the page. Arthur’s love for Lin Manuel Miranda is one I can relate to on a personal level. What can I say without giving things away for this debut book? It’s lovely from page one. The characters feel real. The way they address things, their emotions, the dialogue. It’s one of the reasons Albertalli and Silvera are my favorite YA contemporary authors. It’s a hard nut to get right and they are masterful every time. In the case of the narrators for the audiobook, they did an amazing job. It won’t disappoint. If you like Becky’s you’ll enjoy his too! Enjoy! I love them all for different reasons. For more of the contemporary feel go with History Is All You Left Me. More Happy Then Not is grounded in reality today but had a Sunshine of the Spotless Mind twist. And then They Both Die at The End is maybe my favorite but also lots of tears.